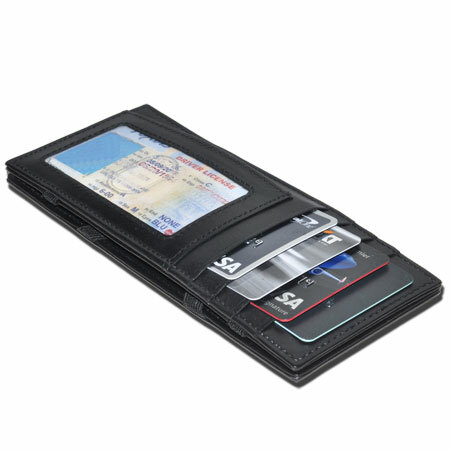 This is our newest extended leather magic wallet design, available in black leather only. It features 4 tight outside pockets, 2 inside pockets, a convenient ID window and a full bill length magic receipt/bill holder. A thin magic wallet in 100% cowhide leather for everyday use. We use durable elastic straps for the magic wallet mechanism.